Click here for current fare inormation of the SVV. Click beneath to view our rates for all passenger and baggage transportation services (in German). Price for bikes for one direction: € 2.70. Available from every conductor in each train or from our customer service center in Mittersill. All tickets may be directly purchased from our friendly conductors on the trains, without any surcharge. Our staff can now also sell you ÖBB tickets to destinations around Austria. We will be happy to advise you. 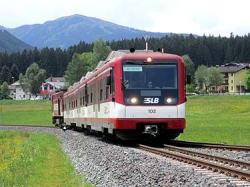 Up to three people can enjoy unlimited rail travel between Zell am See and Krimml on all weekends (Saturdays and Sundays) for just 21 Euros. On state holidays this special ticket is available for just 17 Euros.